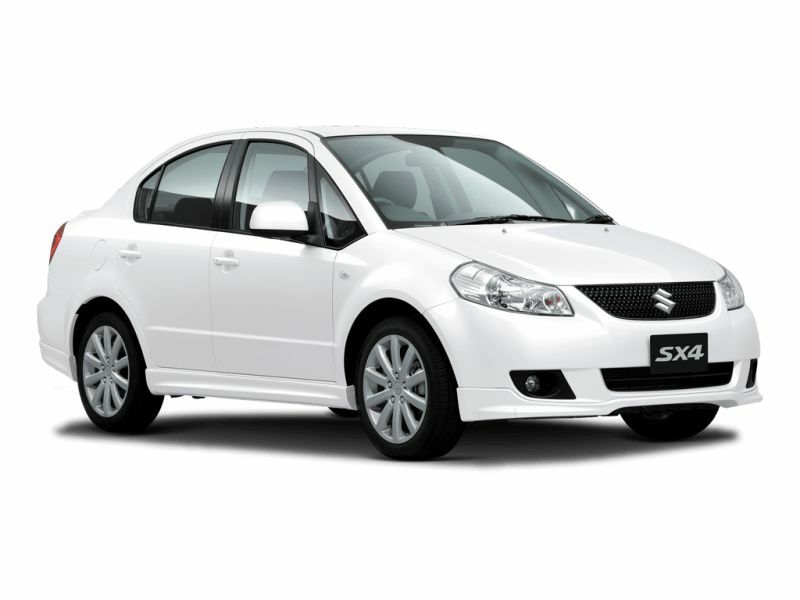 Saint Lucia is an island with great and rich history. For both the locals and visitors who experience our cultural showcases; joy and exuberance of our ancestors, which has been passed down through generations can be felt. Our culture is not only unique but has very diverse aspects contributed by the African, French, English, Indian and even the Kalinago and Tainos peoples who once inhabited this island. Today, we have both French Creole and Indian Heritage which are celebrated in grandiose fashion, also playing a role in our everyday lives. The French Creole Heritage is the more dominant of the two, mostly because of their influence spanning hundreds of years, and is celebrated by dubbing October, ‘Creole Heritage Month’. In October, many activities are hosted showcasing music, dance, language, food and other parts of the Creole Heritage. But on 28th of October or the Sunday closest to the 28th, all of this excitement is topped off with Jounen Kwéyòl, translated from French Creole as ‘Creole Day’. 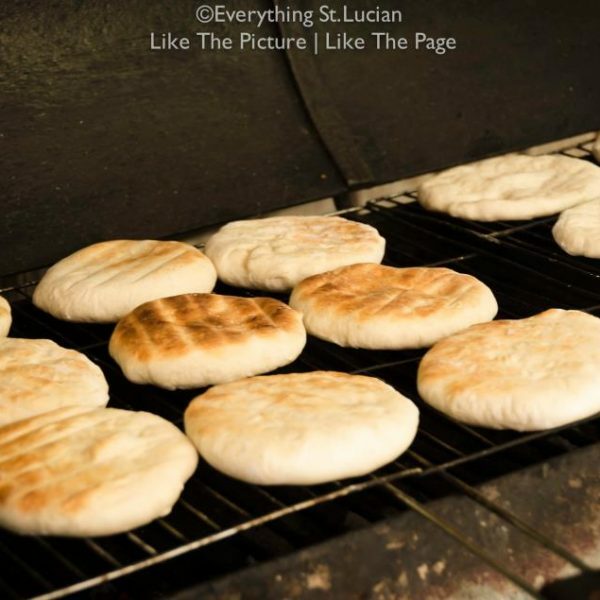 Hosted in several communities; varying every year, the day highlights all aspects of the Creole Heritage. 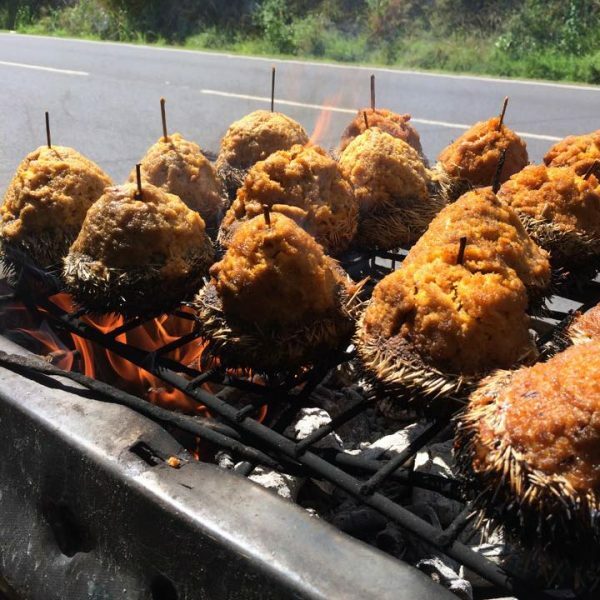 The aspect which draws most people is the food which can be described as the most ‘honored’ expression of the culture. 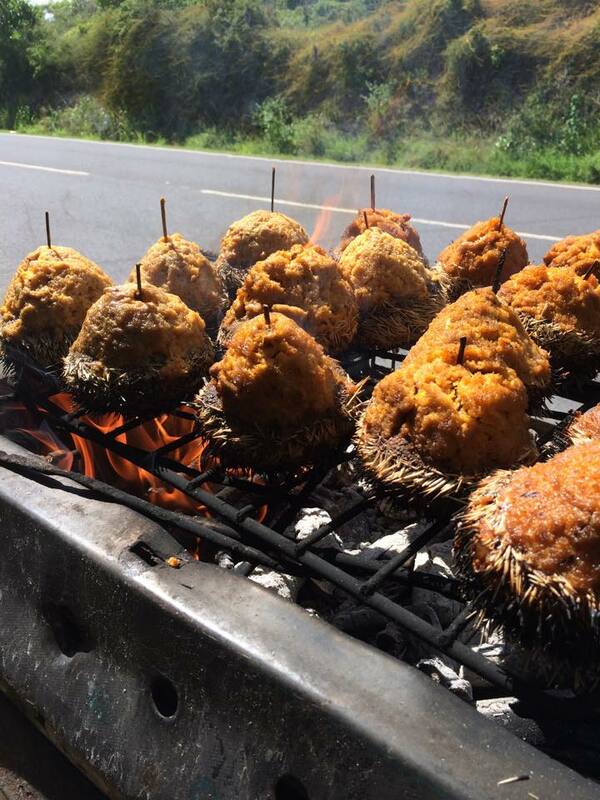 Stalls lined along the streets can be visited from about 6:00 am, for devouring the heartwarming, taste bud electrifying cuisine. 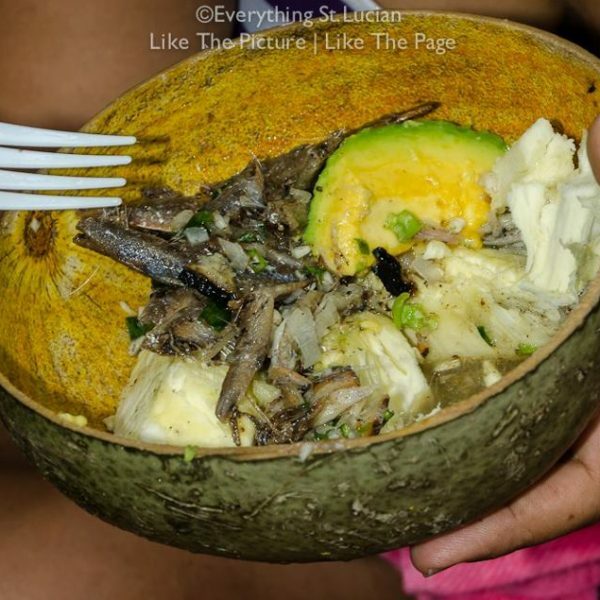 Below are some of the foods that you should definitely try on Jounen Kwéyòl. The most important meal of the day Creole style. 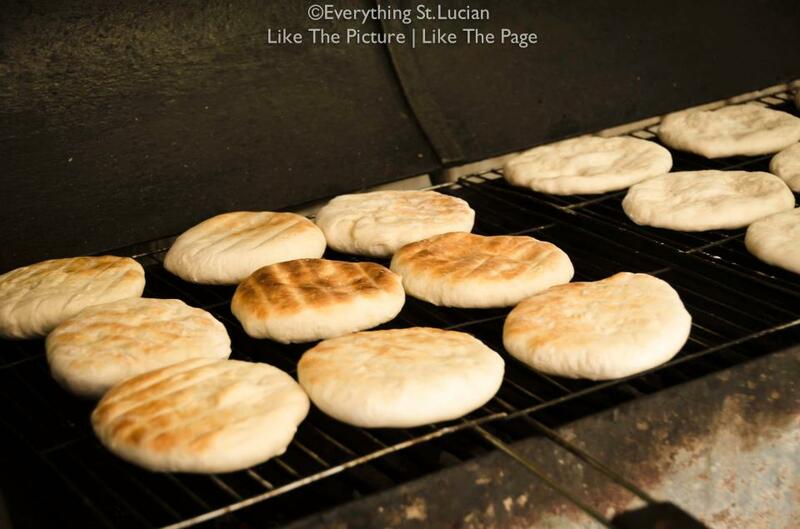 The Roasted Bakes are made from soft dough which is cooked through heating in a pot, giving the “bread”, a delicious roasted flavour. Similarly, the fried bakes are made from this soft dough which is spiked with cinnamon and nutmeg then deep fried. These bakes can be eaten straight from the pot or with a little-smoked herring or salted codfish, seasoned with herbs and peppers, then sautéed. 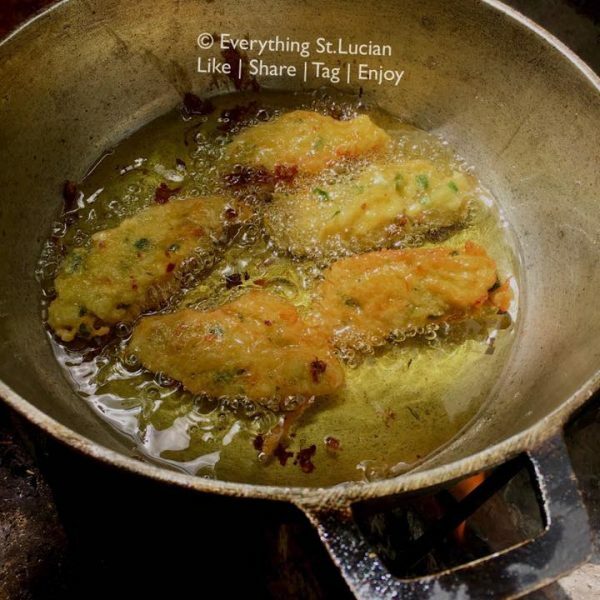 Fried bakes are also known as floats in Saint Lucia. Be sure to request some avocado on the side of your plate as the meal is not complete without it. 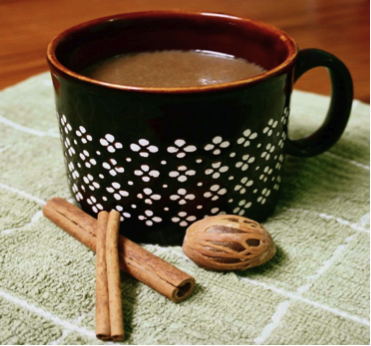 The Cocoa tea is made in the same fashion mentioned before. The exception here, is that dumplings are cooked in the tea. 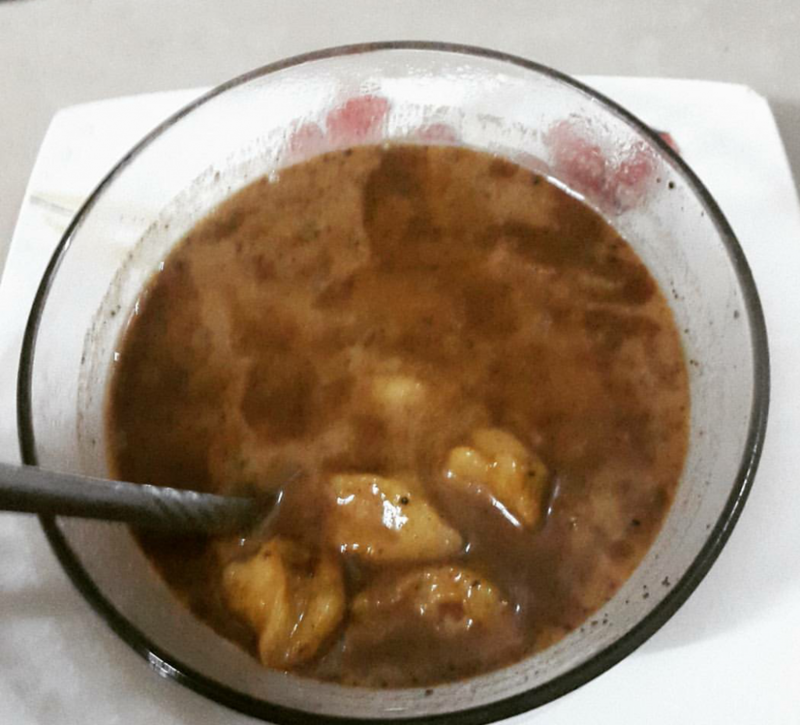 Served in a bowl, dumplings and cocoa tea is like a sweet soup. 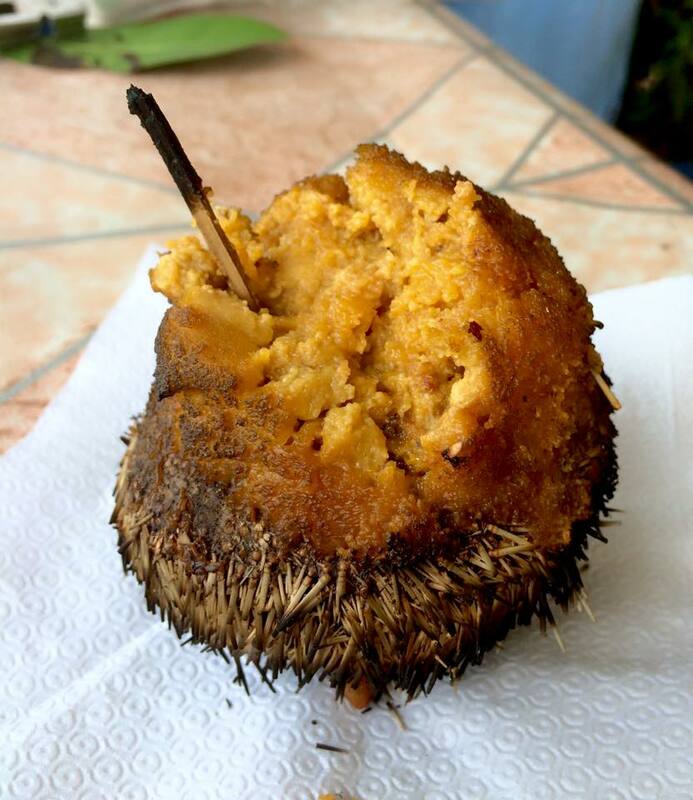 An ideal pick-me-up to help start off the Jounen Kwéyòl. 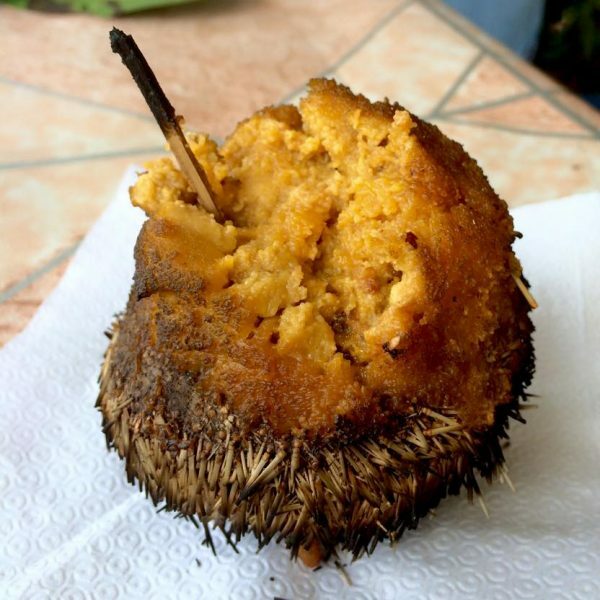 A seasoned batter with fish, crayfish or crab meat mixed into it, makes this is a bite-sized Creole delicacy. 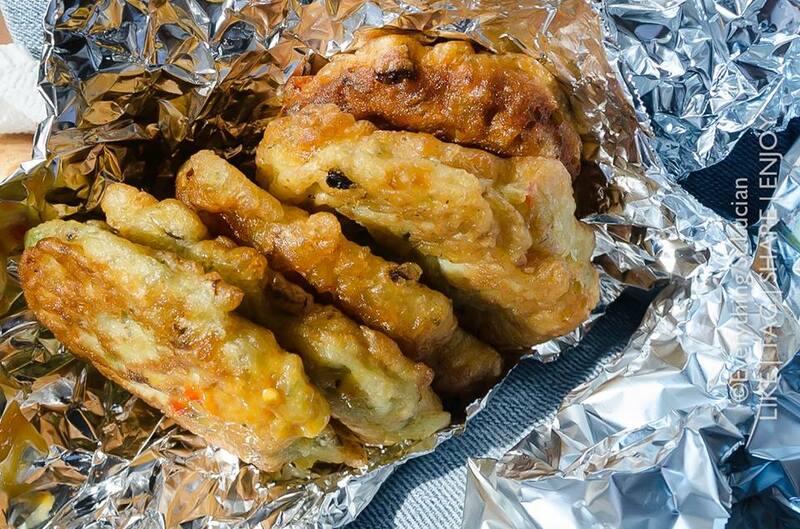 The Fish Cake is almost addictive as you can never have just one. Fish cakes pack a punch of wonderful flavours into a few bites. 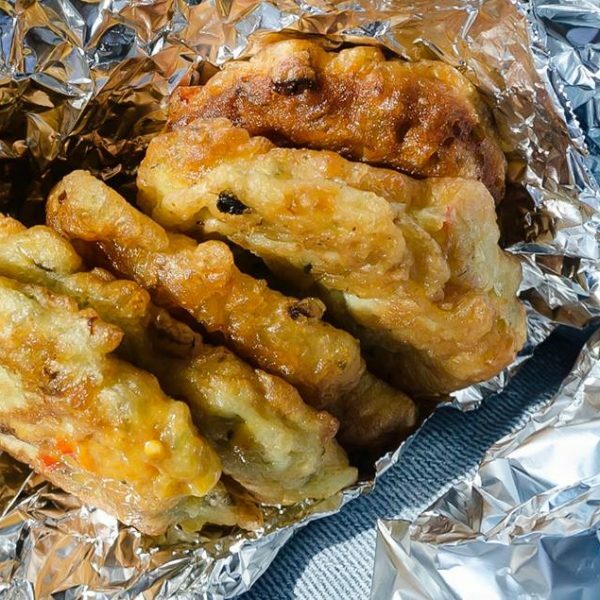 We love to season our food with herbs, spices, peppers and all the good stuff, so even if you just had the fried batter on its own, your cravings for good food would be ebbed. Cocoa tea can always be substituted with locally made juice; lime, orange, golden apple, guava or whatever local juices are offered on the day. Bay Leaf Tea is also an option offered. Lunch as it is prepared on Jounen Kwéyòl. Green figs are simply unripe bananas. They are peeled, boiled with salt and sometimes a glove of garlic. The salted fish is usually Codfish, seasoned with peppers, herbs, onion, garlic, before being sautéed. Cooks make sure to add curry or turmeric to the fish, and for a kick, may even sprinkle black or cayenne pepper. This dish arouses your taste buds and is also aesthetically appealing. 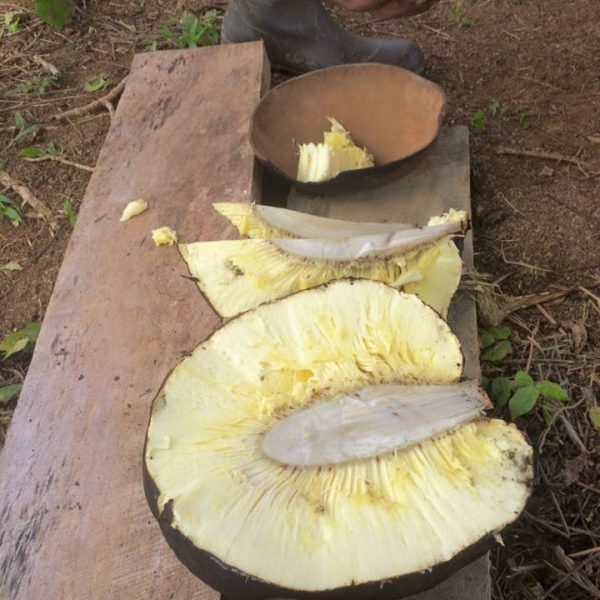 Breadfruit is unique in its texture, flavour and appearance. 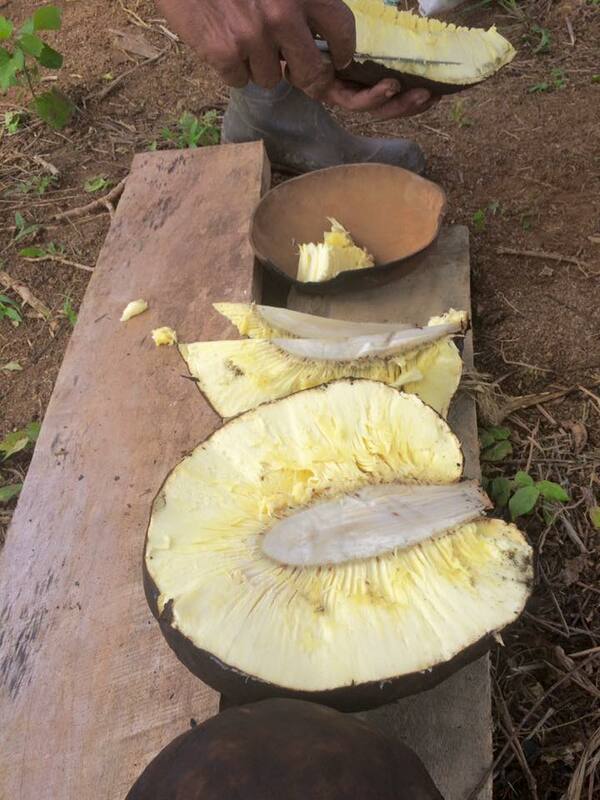 The fruit is indigenous to India but is not prepared there or even used as we do in Saint Lucia. The fruit can be eaten in its mature or ripened state. 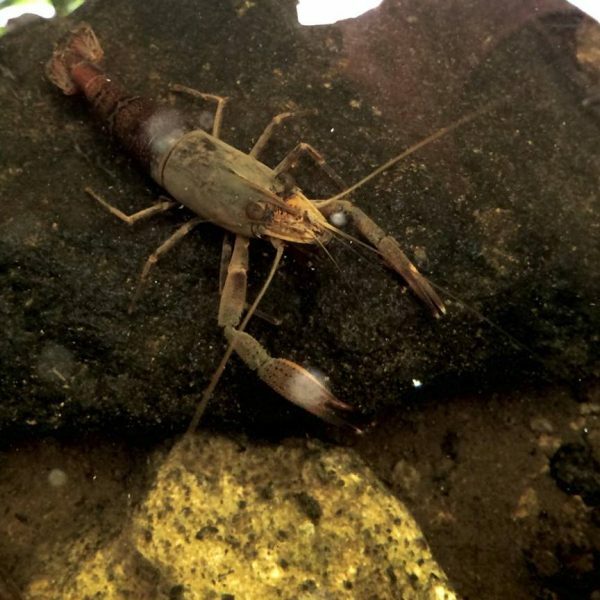 It is cut, boiled in salted water, and peeled. 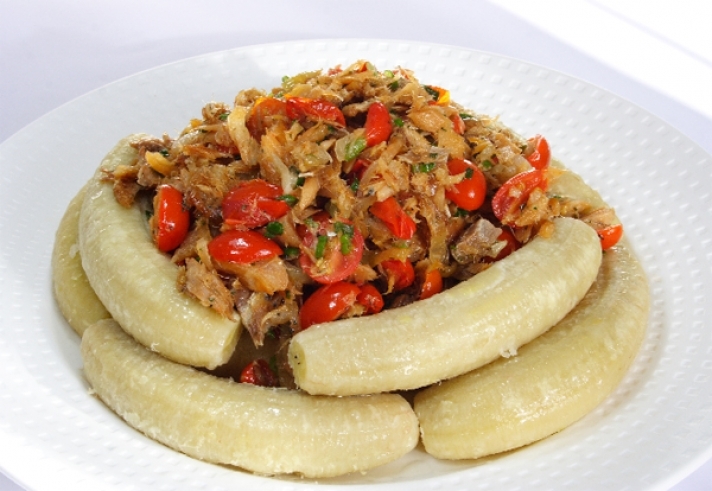 The smoked herring is seasoned similarly to salt fish, with peppers, herbs, onion, garlic and sautéed. For people experiencing Jounen Kwéyòl for the first time, this is a great introductory meal for their taste buds. Some Cooks add grated carrots and cabbage to their Salt fish and Smoke herring to enhance both flavor and plating. Both of these dishes are usually served with a side of avocado and/or cucumber salad. This is one of the most popular Kwéyòl dishes. Some would say that their Jounen Kwéyòl experience is not complete without it. The dish is one that has an abundance of mouth-watering flavours and textures which come together perfectly; leaving the indulger satisfied and full. Herbs and spices; parsley, celery, garlic, onion, pepper, clove etc. 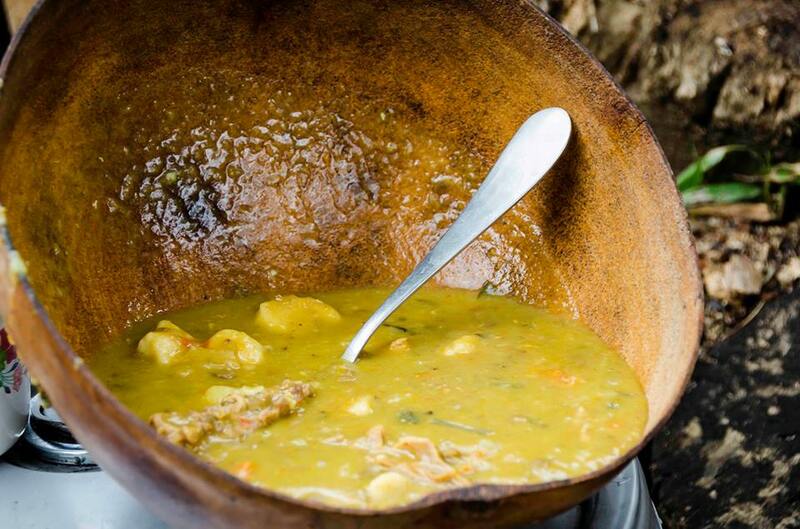 are added to the boiling meat until red beans and dumplings are included to the pot and cooked until the dumplings(dough) are tender without a floury taste. This Bouillon is the definition of a hearty meal. Salted Beef can be substituted for Pigtail if that is your preference. Some stalls may offer both, so you can look around for that option. 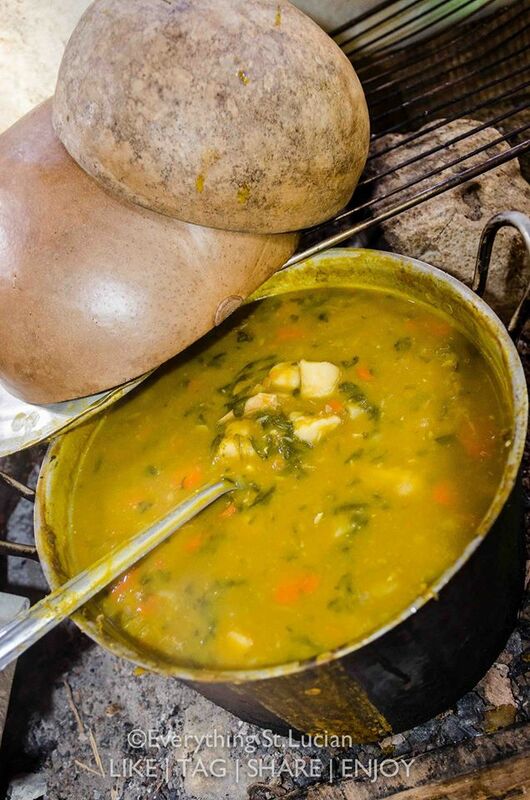 This is a vegetable soup that is popular throughout the Caribbean but has a version traditional to Saint Lucia. 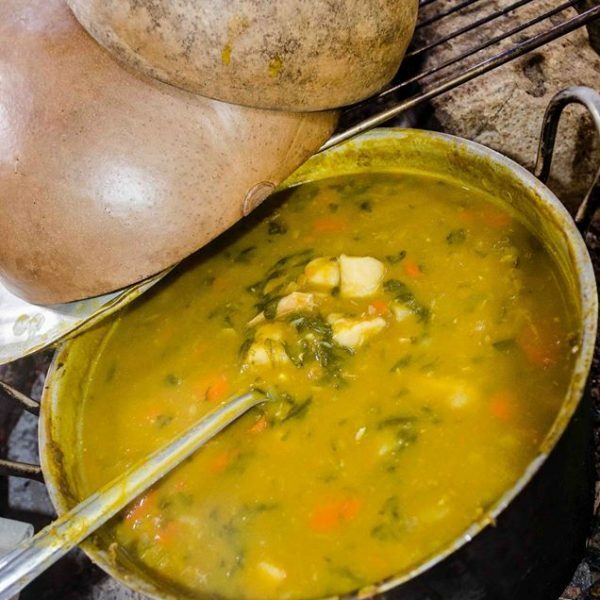 One of the key ingredients in Callaloo is spinach; In Saint Lucia young dasheen leaves are often substituted for the spinach which makes the dish even more connected to the Kwéyòl culture. 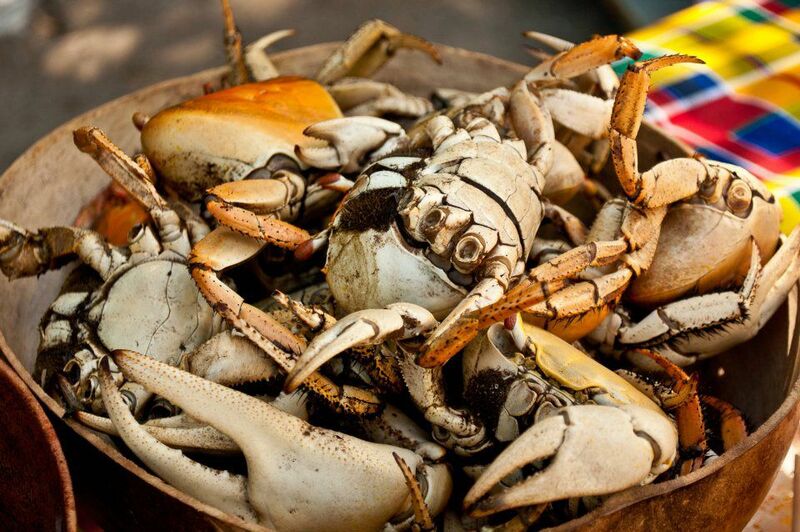 Fresh crab meat or whatever meat is desired, is boiled along with spinach, fresh peppers, garlic, onions, and thyme. 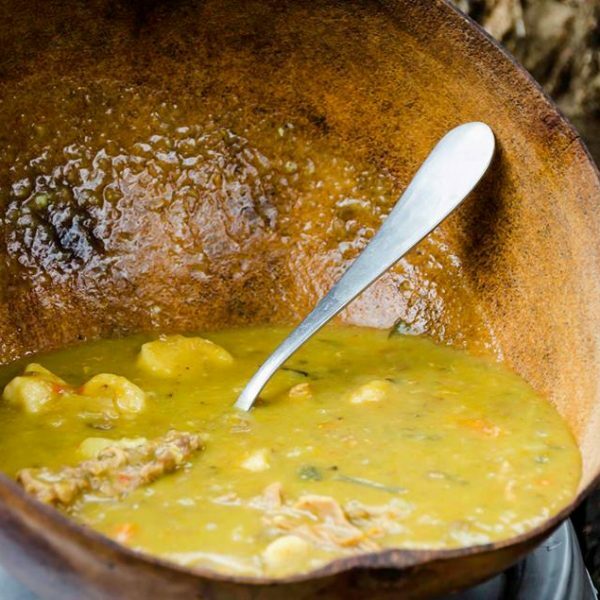 Okra, known in St. Lucia as Okro is another defining ingredient to the soup. You can ask for a little hot pepper and uncooked tomatoes to be added to your soup for some extra essence. Highly seasoned and carefully flavoured, the savory dish will hit just the right spot. 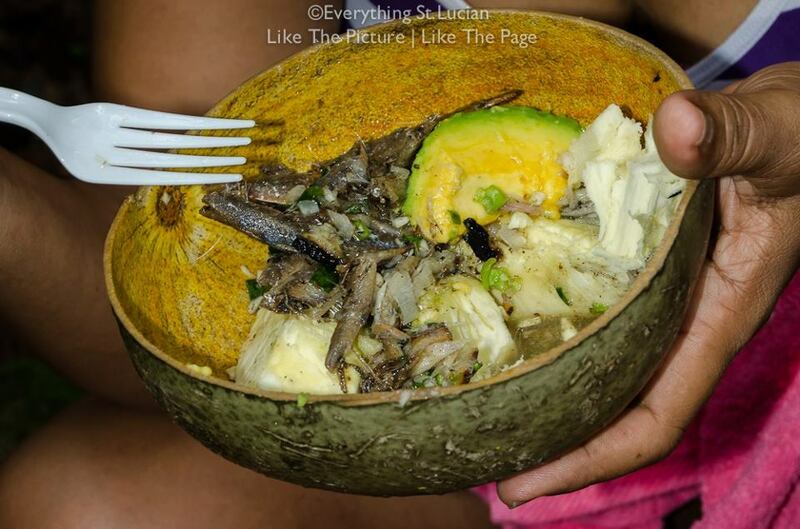 Before I describe this tasty Kwéyòl delicacy I must state that Sea Turtles are not caught all year round in Saint Lucia. 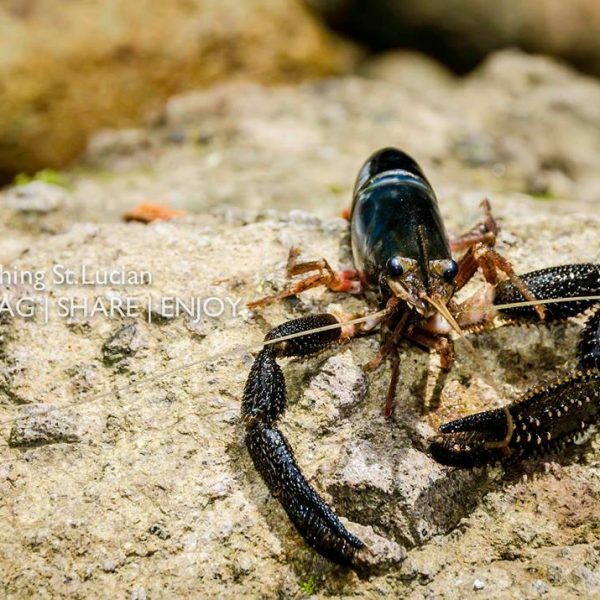 We understand the importance of conservation and have an open and closed season. The turtle meat is brought to a boil in salted water with cinnamon and clove to help tenderize it. 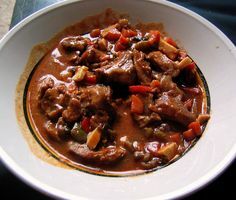 Gravy browning is added to the seasoned and marinated meat. Finally, vegetables are put into the stew to make it a wholesome dish. Every spoonful is full of orgasmic flavours. 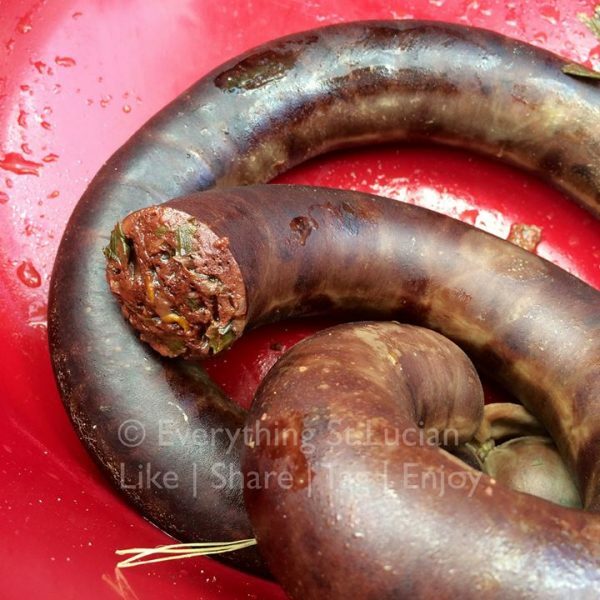 This interesting food is made from pig, cow, goat or sheep’s blood, and seasoned with herbs and spices; stale bread or crackers are also usually incorporated to add texture. 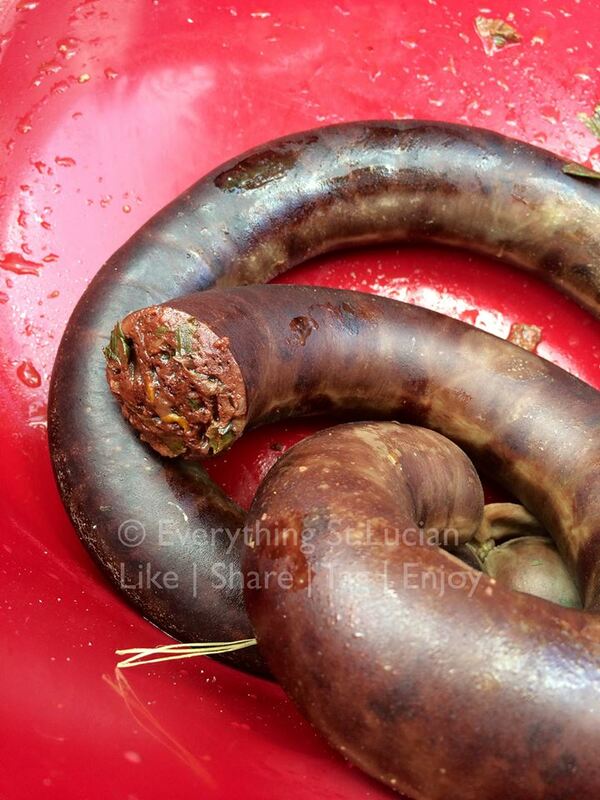 The mixture is stuffed into an intestine casing of the animal, cooked and served hot. Black Pudding is like a soft sausage, is a standout dish and another highly requested delicacy. 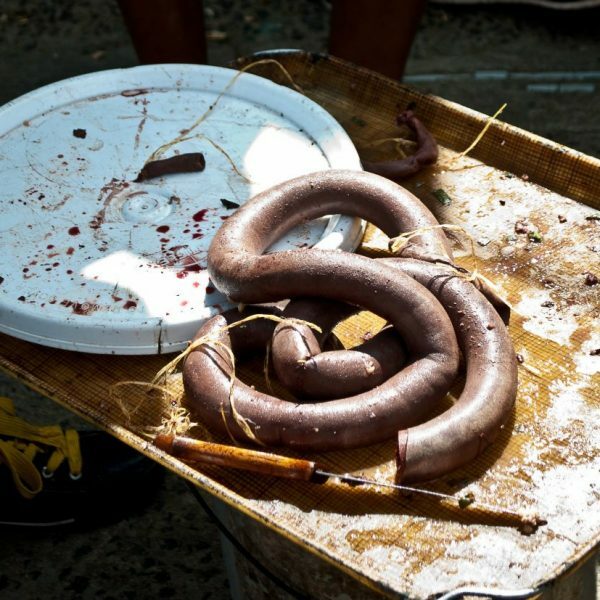 Similarly, in European countries such as France, Blood Sausage is made but served cold. 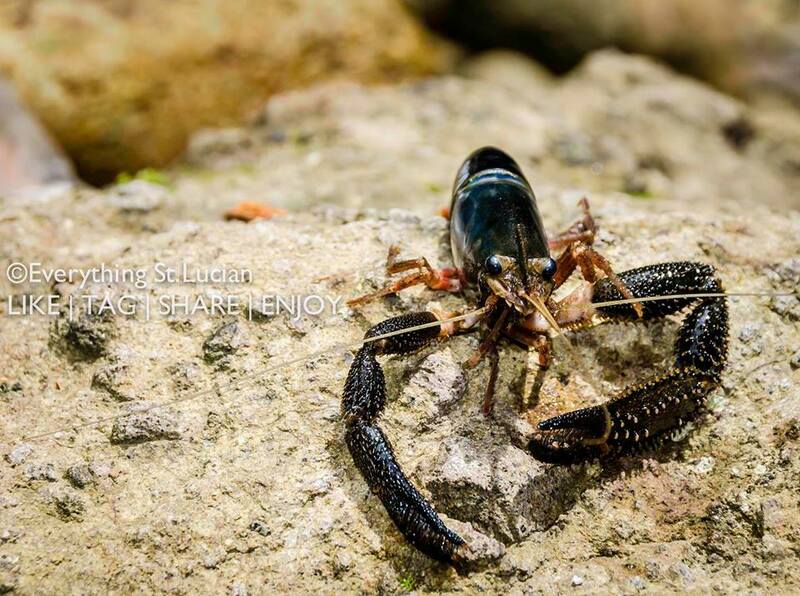 It is usually eaten with other dishes. 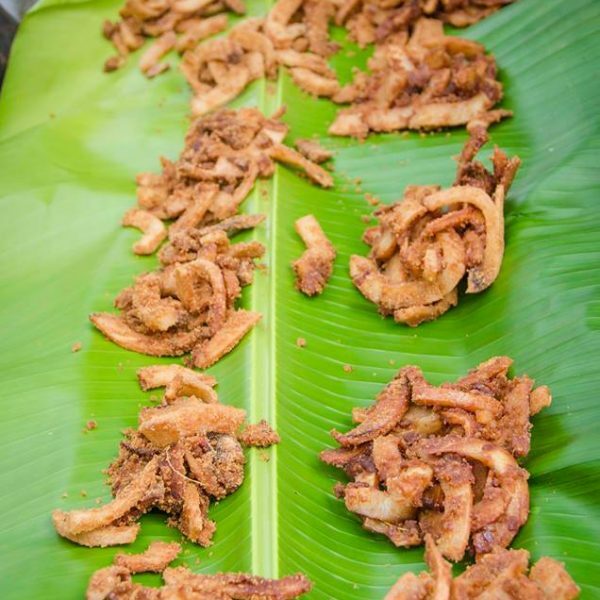 Take your taste buds on an adventure and try some at the upcoming Jounen Kwéyòl activity. 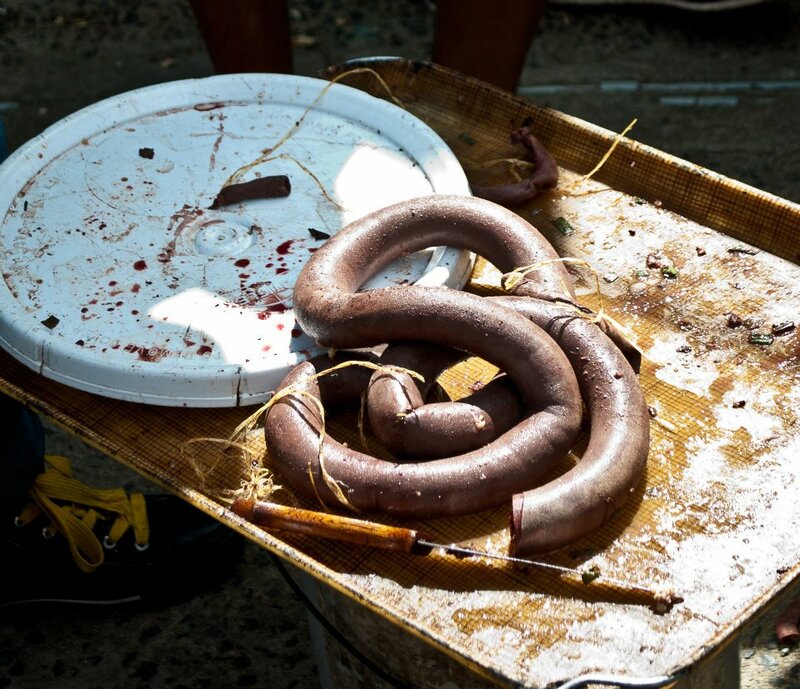 Saint Lucians love for Black Pudding can be attributed to the French. 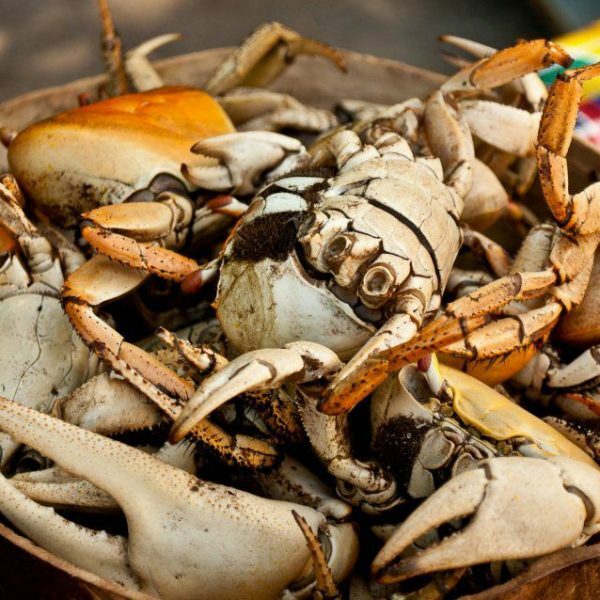 Although Crabs are used in a number of dishes, some people choose to have their local crab boiled simply in a seasoned sauce and eaten. 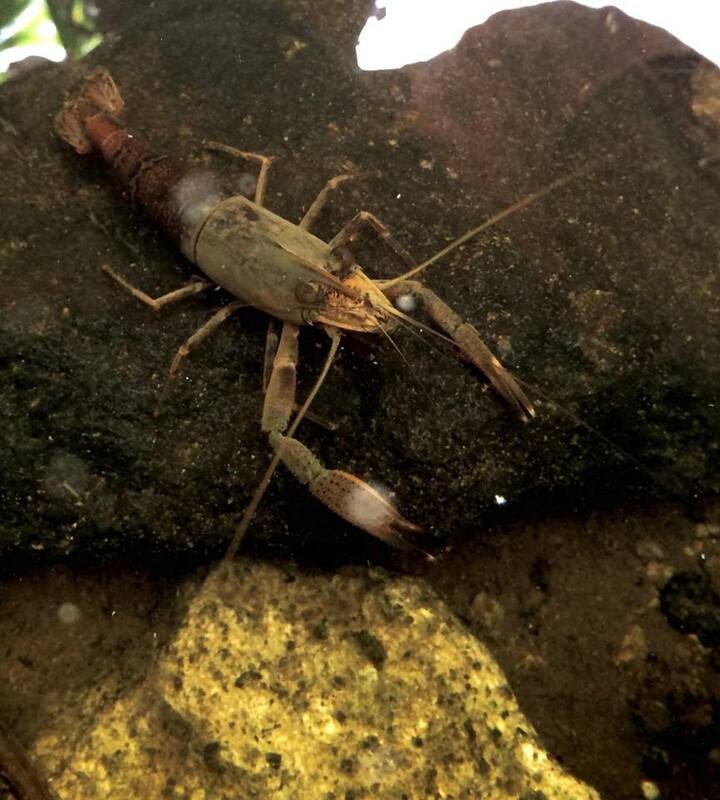 Similarly, Crayfish is prepared simplistically but can be included in a number of dish variations. This is why it is important to look around so you can have some interesting dishes Kwéyòl style. The Sea Egg is carefully cracked and the roe removed. The roe is the contents of the egg which may be referred to as the meat. 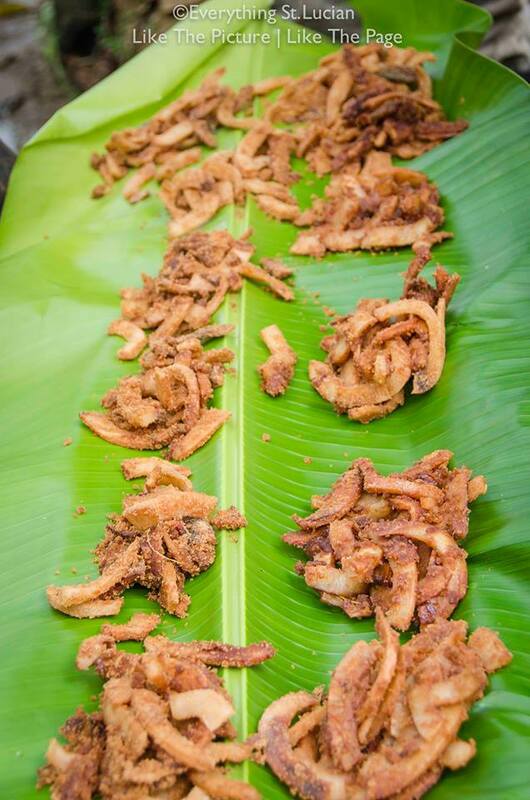 The “meat” can be fried/ sautéed or used in other dishes and is even eaten raw with a little lime juice. 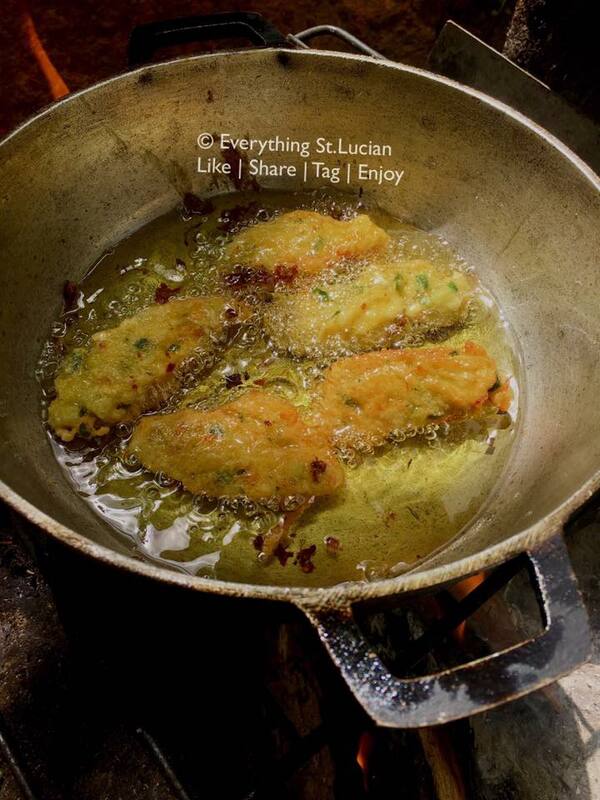 As with every other dish which is inherently Saint Lucian, the fried or sautéed fish egg must be highly seasoned. Crushed avocado is mixed with cassava flour, salted and rolled into balls. It is not a very complex treat but is very enjoyable. This snack is a favourite to many and is made from cornmeal, sugar, spices such as cinnamon and nutmeg as well as milk. 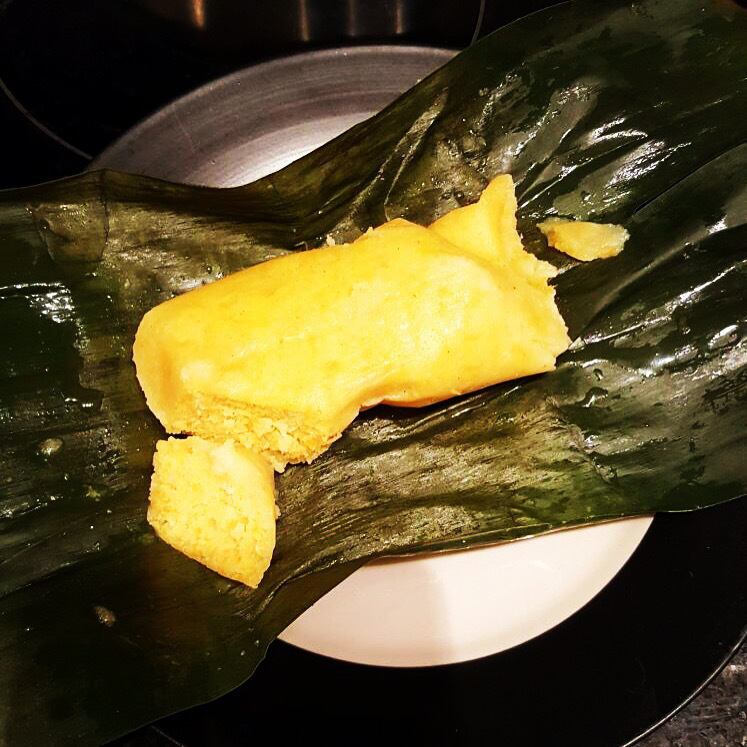 Traditionally, the cornbread is wrapped in a banana leaf, tied with a string and boiled. The contrast between sweet and cinnamony makes this a delectable dessert. 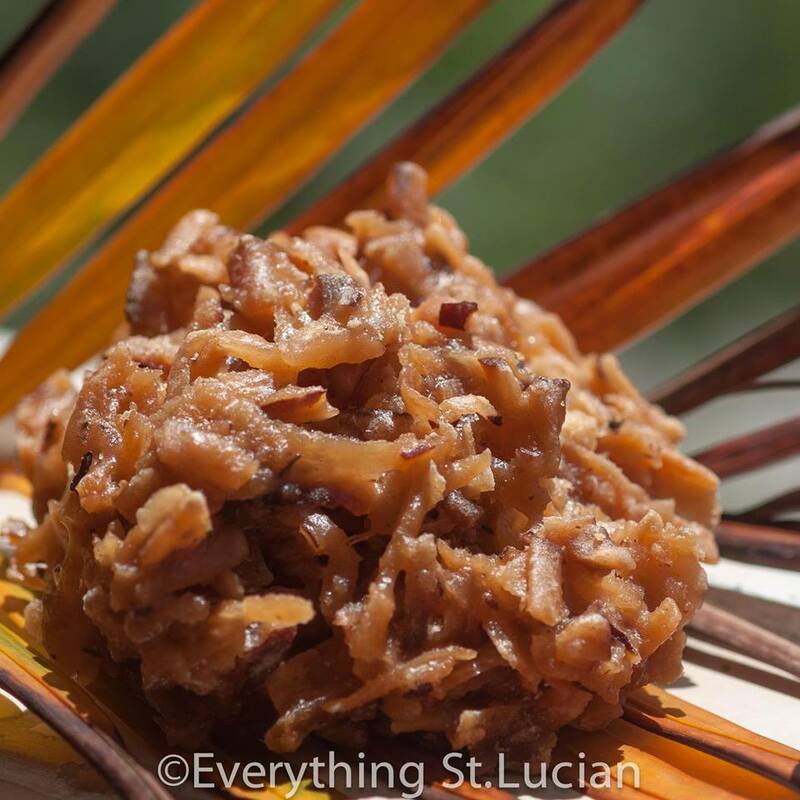 A candy made with coconut and caramelized sugar; Tablet will definitely tickle your sweet tooth. Cinnamon and nutmeg are added to the sugar during caramelization giving this candy a distinctive taste. Sugar is made into syrup and poured over local almonds and left to cool. Cinnamon is usually added to the sugary syrup for a flavor boost. 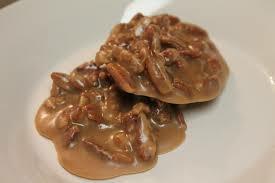 This is a nutty sweet treat everyone can enjoy. Which of these dishes is your favourite? Let us know in the comments. This Jounen Kwéyòl will be celebrated on 29th October 2017. Don’t miss it!